This past Friday, Esther Ticktin died at the age of 91. One year ago, her husband, Rabbi Max Ticktin, died at age 94. For three generations of Hillel rabbis, university students and members of the havurah, or fellowship, movement, the Ticktins were a guide to Jewish learning, Jewish life and the Jewish engagement with healing the world. Esther Kelman grew up in Vienna, was deeply steeped in Jewish learning from her childhood onward, and witnessed Hitler’s Anschluss of Austria when she was 13. She described what she saw in her diary, and filled in the gaps in the story with a memoir written in 2012. She escaped with her family to America, and married Max Ticktin as he was ordained by the Jewish Theological Seminary (I wrote last year about my memories of Max). The two of them spent a year in the pre-state Jewish community in Palestine, just as Israel was about to come into being. Returning to America, Max Ticktin officially and Esther Ticktin unofficially became creative leaders of Hillel at the University of Wisconsin and then at the University of Chicago, where they organized one of the earliest havurah-style minyanim. In her 40s, Esther Ticktin decided to seek a doctorate in psychology, and began a long-lived practice as a psychotherapist. In 1972, the two of them moved to Washington, D.C., for Max Ticktin’s new job as associate national director of Hillel; they joined Fabrangen, one of the early havurot. Esther Ticktin became an important guide to the younger women at Fabrangen (and to some of its male Jewish seekers, too, like me), as well as at one of the earliest Jewish-feminist communities, B’not Eysh. She was an important presence and teacher at the inter-havurah retreats during the 1970s. She wrote and spoke a number of creative and profound midrashic commentaries on Torah, and often wove her experience as a therapist into her knowledge of Torah to arrive at new and unexpected interpretations. One of them was the best sermon that I have ever seen on the deeply troubling story of the Binding of Isaac. It drew on her experience in mothering three daughters, who themselves became the mothers of 11 grandchildren and a few great-grandchildren as well — a whole tribe whom she deeply loved. Indeed, what I remember most about Esther, have all these years most loved about her, and have most deeply learned to love about her, was her down-to-earthiness. In January 1973, the Fabrangen community faced a dilemma. President Nixon had worsened the war against Vietnam by horrific bombings of Hanoi and Haiphong. He was due to be re-inaugurated on January 20, 1973, which was a Saturday. The antiwar movement called for a counter-inaugural March to be held the same day. Every single member of Fabrangen was strongly opposed to the war. The march would be happening on Shabbat, a sacred day of rest and prayer and peacefulness. We debated: How could we join the march and violate Shabbat? How could we observe Shabbat and ignore the war? Finally one Fabrangener said that under the doctrine of Pikuach nefesh, the obligation to save life even if it meant breaking the usual constraints of Shabbat, we could join the march. And the room cheered. Down-to-earth Esther Ticktin had spoken Truth. My beloved Phyllis and I decided to get married on a day that was both the summer solstice and a full moon. We made a symbolic Big Deal out of affirming “the fullness of the sun and the fullness of the moon” — connecting that with our commitment to the equality of women (the moon) and men (the sun). We also added “Ocean” as a middle name to both our names, and under the chuppah we poured together water from the Atlantic, the Pacific and the Mediterranean to symbolize our unity as Ocean. Within, beneath and beyond all the treasury of Jewish symbol and story, the Truth: Don’t forget how down-to-earth it needs to be. May memories of Esther continue to be true blessings in our lives. 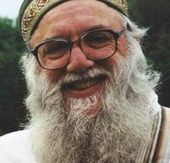 Arthur Waskow is the founder and director of The Shalom Center in Philadelphia. This story "Remembering Max And Esther Ticktin, Jewish Educators" was written by Arthur Waskow.